Take a stroll around the vineyard and relax in our Cellar Door any day of the week. Located in the Tamar Valley, one of Tasmania’s cool climate wine growing regions, Moore's Hill Estate is a mere half an hour from Launceston and is a popular destination for locals, experienced wine lovers and travellers from across the globe looking to experience some of the best wines our state has to offer. 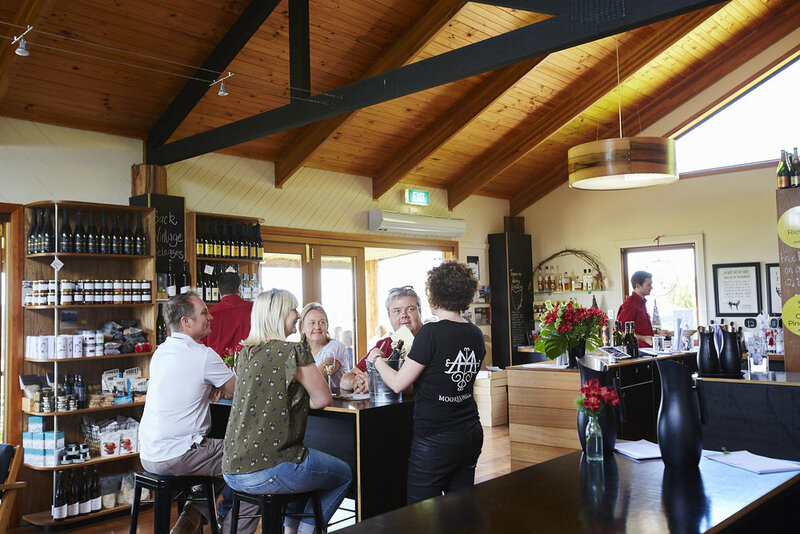 In addition to our acclaimed selection of wines, our scenic cellar door provides visitors with the opportunity to enjoy simple, casual tasting plates featuring specially selected, local produce from around our island State to complement our wines. 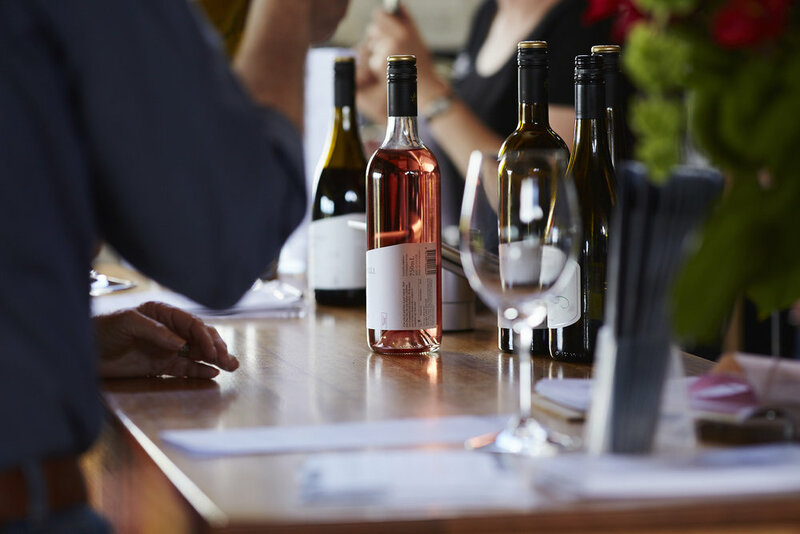 We offer a relaxed wine tasting of our current release wines at the bar. Wine tasting is free of charge for groups of less than 10 people. Bookings are not required for groups of less than 10. We offer a guided wine tasting of 6 wines. A tasting fee of $5 per head applies for groups of 10 to 20 people. A tasting fee of $10 per head applies for groups of more than 20 people. The tasting fee is refunded upon wine purchases. Please contact us to book your group. A credit card number may be requested to secure the booking. Five delicious Tasmanian cheeses, seasonal relish, condiments, sour dough bread and alpen crackers. Venison sausage, smoked quail, pâté, salami and seasonal relish, sour dough bread and alpen crackers.